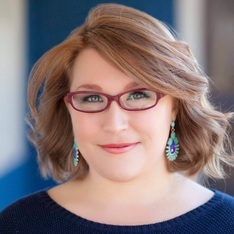 Katharine Shilcutt is a native Houstonian and the managing editor for Houstonia Magazine. Before joining the magazine, she was the James Beard Award-nominated food critic for the Houston Press. When she's not busy exploring Houston, she's busy writing about her hometown in hopes that others will come to share her deep, demented love for the Bayou City. Five days a week, five and a half short hours each day, chef Justin Yu and his team at Oxheart spring to life like a clock that's striking noon. Watching Yu and his corps of sous chefs — each bent at the waist over stainless-steel prep tables, noses inches from their plates and tweezers in hand — is like watching the inner workings of Big Ben. Some cooks perform a loosely choreographed ballet when they work, turning quick petits fouettés around each other as they move from one station to the next and dashing madly around in triple runs. Not at Oxheart. Here, everything is as precisely timed as clockwork, from the succession of dishes that marches across your table with the elegance of a second hand sweeping swiftly across the face of a watch to the neat, clean assembly line that constructs each dish with the patience and concentration of a watchmaker. There are only 30 seats at the tiny restaurant, and only 11 of them overlook the matchbox-size open kitchen. These 11 seats afford you as much theater as they do a meal, and you're encouraged to watch. This encouragement is one of the first signs that you're not in for a typical meal at Oxheart, but you probably already knew that. Another sign is the months-long waiting list to get one of those 30 seats. Still another sign is all the national press that Oxheart has received since it opened in the spring of 2012, from a James Beard Award semifinalist nod for Best New Restaurant of 2013 to a recent full-on restaurant review from The New York Times, in which food critic Pete Wells called it "one of the growing number of places around the country that are rearranging our notions of what fine dining means." I want to help writers find their own unique voice, to learn how to write fearlessly, honestly, and passionately. Good food writing in particular should be exuberant and interesting as much as it is instructive and educational—themes that I also want people to take away from my workshop.